The dry root of perennial herbaceous plant Achyranthes bidentata Bl. and Cyathula officinalis Kuan of family Amaranthaceae. The former called Niu Xi mainly produced in Henan province in China, the latter called Chuan Niu Xi in Sichuan, Yunnan and Guizhou provinces. The former collected in winter, the latter in autumn and winter. The former has light smell, lightly sweet then bitter and astringent taste, the latter has light smell and sweet taste. The former: long, thick, thin peel, yellow and white, the latter: big and firm. Bitter, sweet, sour, neutral; liver and kidney meridians entered. Activate blood and dredge meridians, tonify liver and kidney, strengthen tendon and bone, promote diuresis and relieve stranguria, conduct fire (blood) to go downward. This herb can descend and purge because of its bitter flavor. It is good at conducting downward and can promote blood circulation, dissolve stasis, break mass, and dredge menstruation. It excels at activating blood and dispelling stasis and unblocking meridians and alleviating pain mostly indicated for all kinds of syndromes of blood stasis accumulation such as menstrual, gestational and partal diseases of gynecology, traumatic injuries and pain of traumatology as well as mass and abdominal pain of internal medicine, especially to the syndrome of blood stasis accumulation of gynecology and traumatology such as amenorrhea due to stasis, dysmenorrhea, irregular menstruation, postpartum abdominal stagnant pain and traumatic injuries and pain. Since it tonifies liver and kidney and strengthens tendon and bone, it is more suitable for the injuries of lower back and legs when treating traumatic injuries and pain. For amenorrhea due to stasis, dysmenorrhea, irregular menstruation and postpartum abdominal pain, it is usually combined with blood-activating and stasis-dispelling herbs such as Dang Gui, Chuan Xiong and Hong Hua, etc. For traumatic injuries and lower back and knees stagnant pain, it is combined with blood-activating and trauma-curing analgesics such as Su Mu, Dang Gui and Ru Xiang, etc. This herb is good at entering liver and kidney and can replenish the deficiency and strengthen tendon and bone. So it is more appropriately indicated for atrophy-flaccidity and arthralgia syndromes of evasion of wind, cold and dampness, blood stasis accumulation and deficiency of liver and kidney. For weakness and pain of lower back and knees due to liver and kidney deficiency, it is commonly combined with liver and kidney tonics and tendon and bone-strengthening herbs such as Du Zhong, Xu Duan and Wu Jia Pi, etc. For long-term arthralgia, liver and kidney deficiency and aching pain of lower back and knees, it is combined with wind-damp dispelling herbs, arthralgia-relieving herbs and tendon and bone-strengthening herbs. For instance it is combined with Du Huo and Sang Ji Sheng, in Du Huo Ji Sheng Tang from Qian Jin Fang. For atrophy-flaccidity caused by damp-heat manifested by feet and knees swelling, pain and weakness, it is combined with heat-clearing and damp-drying herbs. For instance it is combined with Cang Zhu and Huang Bai in San Miao Wan from Yi Xue Zheng Zhuan (Orthodox medical Record). 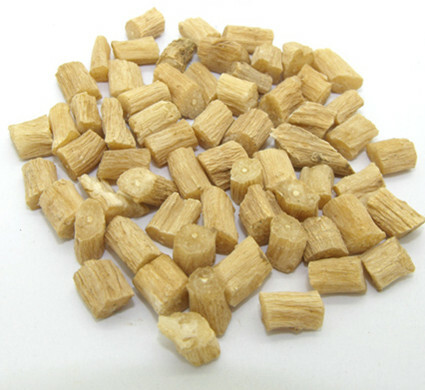 This herb is slick in nature and good at conducting to go downward with the actions of promoting diuresis and relieving stranguria, activating blood and dispelling stasis. It is usually indicated for stranguria and hematuria caused by damp-heat accumulation in bladder and vessels burned as well as edema and dysuria caused by water and stasis blockage. 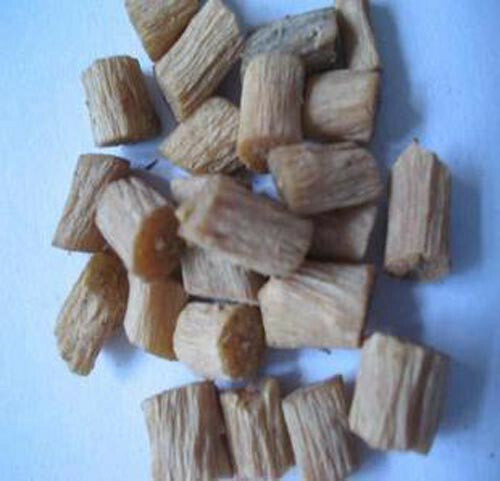 For various nguria, it is usually combined with stranguria-relieving For diuretics such as Mu Tong, Qu Mai and Che Qian Zi, etc. For edema and dysuria, it is combined with edema-alleviating diuretics such as Ze Xie, Che Qian Zi and Zhu Ling, etc. This herb can descend and purge because of its bitter flavor. It can conduct heat to be purged down and induce blood to go downward for descending flaring fire. So it is indicated for the syndrome of fire and heat flaring up manifested by headache, vertigo, hematemesis and epistaxis. For headache and vertigo resulted from hyperactivity of liver yang, it is combined with liver-pacifying and yang-subduing herbs. For instance it is combined with Dai Zhe She, Sheng Mu Li and Sheng Gui Jia in Zhen Gan Xi Feng Tang from Yi Xue Zhong Zhong Can Xi Lu. For oral and lingual sore and swollen and painful gum due to up-flaming of deficiency-fire, it is usually combined with stomach-clearing, yin-nourishing and fire-descending herbs. For instance it is combined with Di Huang, Shi Gao and Zhi Mu in Yu Nv Jian from Jing Yue Quan Shu. For hematemesis and epistaxis due to upward adverse flow of qi and fire driving blood recklessly moving, it is combined with blood-cooling hemostatics such as Bai Mao Gen, Zhi Zi and Yu Jin. Decoct 6~15g. Unprocessed is for activating blood, regulating menstruation, inducing diuresis, relieving stranguria, conducting fire (blood) to go downward and processed with wine for tonifying liver and kidney and strengthening tendon and bone.